We meet at the Wolverhampton Electricity Club at 7:30pm every Wednesday. We're a friendly bunch and welcome members old and new to come and join us for a chat and share our passion and enthusiasm for the hobby of Amateur radio. The Society takes part in special events such as Steam Fairs, Canal Boat Rallies, Mills on Air, JOTA and other local events. Meetings are informal and the club serves a wide selection of wines, spirits and beers including traditional cask ales, a variety of soft drinks are also available and all are reasonably priced. There is also a car park and plenty of on street parking. Amateur Radio ? So if you have stumbled upon this website you might be thinking, "What is Amateur Radio all about then ?" Amateur radio is a popular technical hobby and can also be a volunteer public service. But most of the time, it's about the most fun you can have with a radio. It's a way to talk with people around the world, or even orbiting the world; to send e-mail without any sort of internet connection and to keep in touch with friends across town, across the country or even across the world. It is an incredibly diverse and very popular interest with over six million people involved worldwide. So if you are looking for a Radio Society in Wolverhampton or what to know more about amateur radio then come and give us a try. 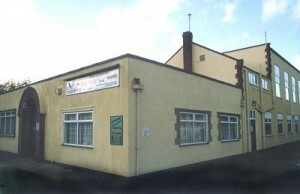 Wolverhampton Electricity Sports and Social Club but was also named affectionately by the many members and local people as 'The Electric Club', St. Marks Road, Chapel Ash, Wolverhampton, WV3 0QH.